This section covers different biological risk factors. Many of these risk factors often co-exist, that is, they occur at the same time. When a child has one condition that is linked to biological risk, he or she is likely to have others as well. Conditions linked to biological risks may occur prior to, during, or immediately after the birth of a child. 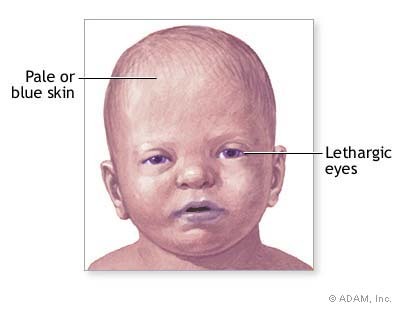 These conditions include pre-term birth, low birth-weight, lack of oxygen (this is known as anoxia), internal injury resulting in brain bleeds (or haemorrhagia), and others. 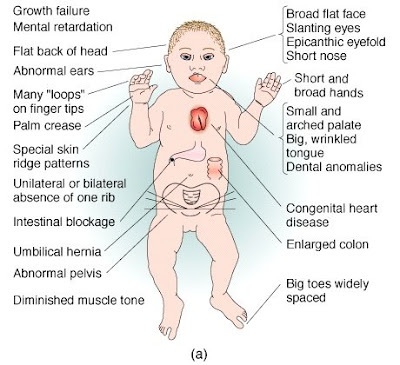 Such conditions may be connected to existing conditions that may be detected after birth. Examples might include health conditions that started soon after the baby was first conceived, or congenital anomalies (Fig. 1) like Down’s Syndrome. Other conditions might be related to events happening after birth, like injury and trauma (Fig. 2), as in babies who have been shaken. Conditions linked to biological risks may impact the development of a baby’s neurological system and require immediate attention. Depending on the degree and severity of the conditions, babies will be admitted to one of the following treatment facilities: a Pediatric Intensive Care Unit (PICU). For more severe cases, the baby may go to a Level II or Level III (the most specialized) Neonatal Intensive Care Unit (NICU).